The terminal is very fast and convenient way to quickly access directories and files (faster than find and click on the directory). One thing that it cannot show in text-mode is "pictures". What is a best way to view pictures (like you see images thumbnail in Nautilus) when you are working in the terminal (e.g. command nautilus or any program - but should be fast and convenient)? The way to "double-click" on a file from the command line is xdg-open. If you're on Gnome (probably, if you're using Nautilus), you can use eog directly, or any other image program (feh is quite good). 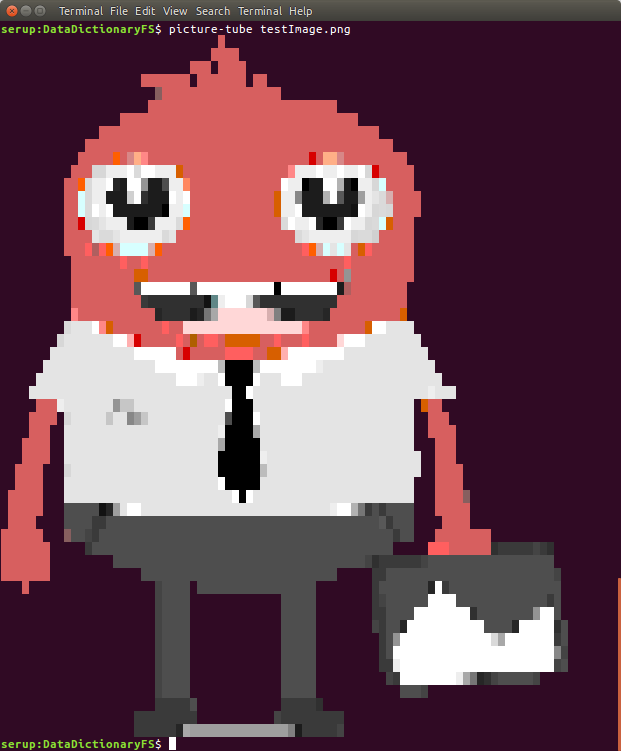 If you want to consult image-name file easilly. If you happen to have installed imagemagick, you can use its very handy display command-line tool. I usually run python -m SimpleHTTPServer 8080 from a folder containing the image and view it from the browser at localhost:8080/path/to/image.jpg. Works great to browse and look at different image and text files in that same directory. Edit: This method also works for remote boxes. Just run the python server as above, and if the ports are open you can connect to myserver.com:8080/path/to/image.jpg. If the server does not expose ports, you can set up an ssh tunnel with ssh me@myserver.com -N -L localhost:8080:localhost:8080 and then view the images from your local browser at localhost:8080/path/to/image.jpg. Note this http interface is much faster than ssh -X.
I have created a tool that uses various unicode block graphics characters to improve the resolution (compared to the canonical 2 pixel per characterapproach taken by other solutions posted here). It also automatically displays images in a thumbnail mode if multiple images are provided as input. I guess feh would be the one you are looking for. 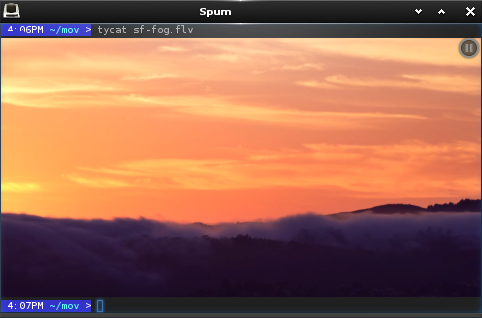 Although popping out a terminal-like window for picture display as mplayer does for video playing, Feh is still considered as a terminal-based picture viewer due to its command-intensive control style. As you can imagine, this can be highly useful when you just want to display an image without going in and opening up Preview.app or having to open the Finder to the image and hitting spacebar on the image. If you're in pure terminal with framebuffer activated, I'd recommend fbi. It's always in my after-install to do list. Plus a lot more. An old video, almost 3 years ago, demonstrating Terminology 0.3: https://www.youtube.com/watch?v=ibPziLRGvkg#action=share. w3m's imgdisplay library is able to display images directly. It only works on some terminal emulators such as Xterm and URxvt. You can look at the project on GitHub. 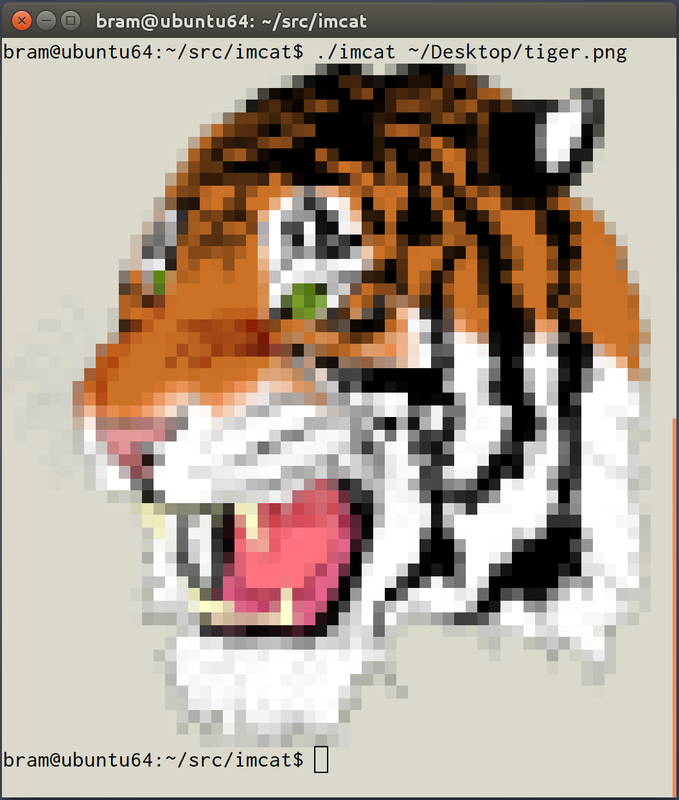 The image is of course an approximation of the actual image, given the fact that the smallest pixel is a character - try to have a look at the result in a text editor, you will see a huge number of color codes. Another great terminal-based picture viewer is fim, which is a improved fbi with a vim-like control system. This is a 4 year-old-question but I found that people still look at it. So, today I would like to answer my own question specifically only for iTerm2. At first time I asked this question. The term of "fastest" I was thinking of viewing image as fast as cat command displaying text. So, today I found the answer on iTerm2, which are the two handy commands name imgcat and imgls. So, I really love them and also hope this will be useful for you all! pxl is a pretty cool option which hasn't been mentioned yet. 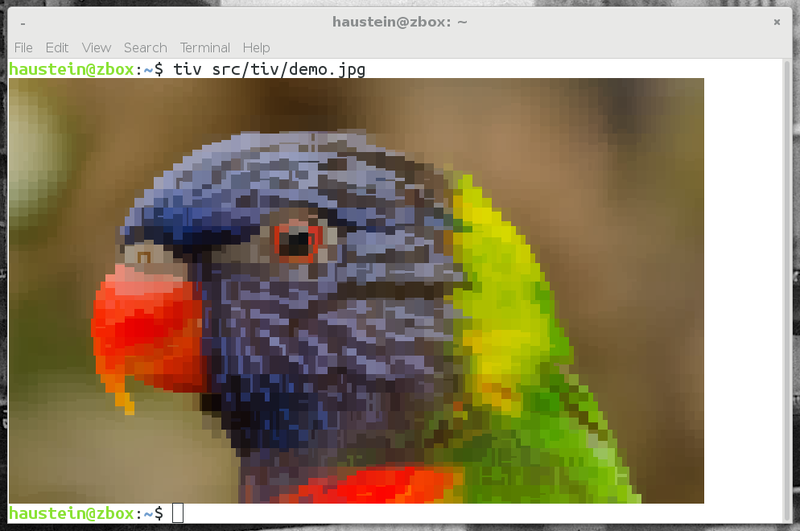 Similar to picture-tube which was previously posted in that it shows the image directly in the terminal although it supports more image formats. Works on linux, macos, windows. Automatically scales to terminal width, with quality down-sampling. Remark: seriously? Down-voted? Next time, maybe explain in comment why. In linux you can install gnome-open. From the terminal? Why not in the terminal: cacaview might be the fastest. By default it's fastest if the terminal has no graphics. I just found this page, and it is still very relevant today. OP didn't really specify if they want X or fb viewer. Needs X, so call from command line in a terminal window. Views many picture formats, gif and jpg for sure... some others as well. Can do wildcard globbing from command line: eg. "$ pho img00? ?.jpg" will view all files that match in order. Space goes forward through list and backspace goes back. Its quick loading individual images -- hold down space and you fly through them. Very fast if you want to look through a bunch of pictures, flag ones of interest, rotate, delete unwanted... I keep coming back to it. pho (pronounced like the first syllable in "photo") is a lightweight program for viewing large numbers of images quickly, rotating or deleting some, and making notes about what to do with each image -- for instance, for going through hundreds of images after uploading them from a digital camera. The kitty terminal can display inside the terminal with the icat "kitten"
The kitty documentation suggests creating an alias, e.g. 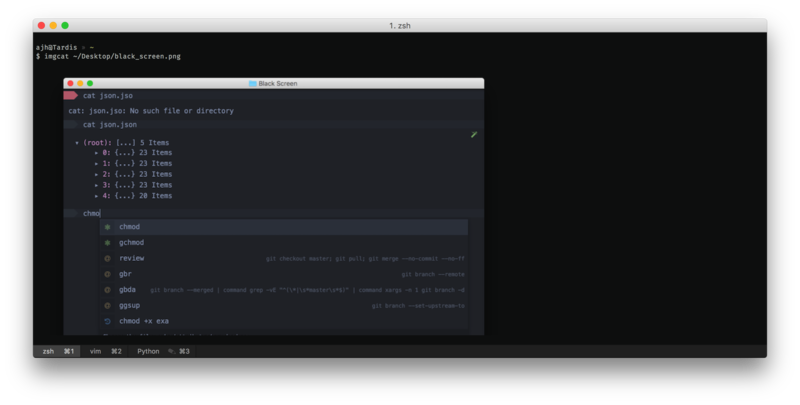 Inline display only works with the iTerm imgcat alias, so you need iTerm installed, running, and frontmost. But preview checks if all that is true. 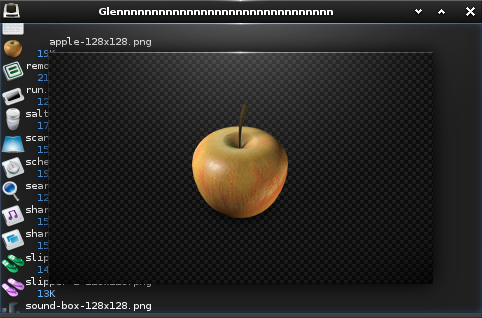 and it opens the image using the default image viewer that you have in your machine. Not the answer you're looking for? Browse other questions tagged command-line software-rec images or ask your own question. Linux display server or program that can route video and/or images between its clients?